The Feerick Center for Social Justice is seeking volunteers for a range of programs this spring and summer. The Center’s newly-launched Volunteer Lawyers for Veterans Project, which will involve volunteers in know-your-rights presentations, limited-scope clinics and other legal services on VA benefits, consumer, and family law matters. For more information, please contact Camilla Leonard at cleonard14@fordham.edu or at 646-312-8725. 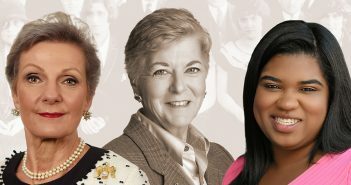 The New York State Unified Court System’s Attorney Emeritus Program (AEP), for volunteers 55 years and older, with 10 years of experience, and in good standing. Volunteer opportunities for civil pro bono are with approved AEP host organizations and court-sponsored volunteer programs. For more information, please contact Cora Vasserman at cvasserman@fordham.edu or at 212-930-8871. The Center’s LEEAP Education Project, which recruits, trains, and places volunteers with community- and school-based programs to assist low-income students and families with the complicated NYC public high school admissions process. For more information, please contact Azalea Capers at acapers@fordham.edu or at 212-636-6894. A service trip to volunteer through the Dilley Pro Bono Project to provide limited-scope assistance to asylum-seekers detained at the nation’s largest family detention center in Texas from June 23, 2018 to June 30, 2018. Volunteers assist women and children in immigration detention prepare for Credible and Reasonable Fear Interviews with Asylum Officers. Training is provided in advance; Spanish speaking is highly preferred. For more information, please contact Dora Galacatos at galacatos@fordham.edu or at 212-636-7747. The Center’s Bronx, Manhattan, and Staten Island CLARO Programs, which provide limited-scope legal assistance to New Yorkers in need on consumer debt collection issues. For more information, please contact Dora Galacatos at galacatos@fordham.edu or at 212-636-7747.